I liked the fact that Steve was able to make my site available to mobile devices. He had a good knowledge of current practices by search engines such as Google and was able to advise me about ways to get my website noticed. I have had customers come through the website already. I am very happy with my website and have had great feedback. Steve was very patient with my lack of understanding of all things technical too! Paula wanted a welcoming and comforting look for her site, yet wanted it to also present a professional image. 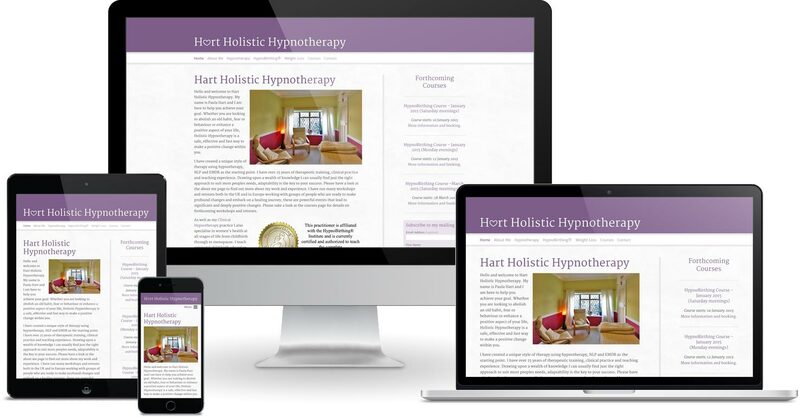 Communication with her clients is important, so her site includes a sign up form for a newsletter, along with links to Paula’s social media pages and clear contact information on all pages. It also includes details of the forthcoming course she is running, plus the ability to sign up and pay for these using PayPal. The site is built with a responsive design to ensure an optimised reading experience regardless of the viewing device. It also includes open graph meta tags to control how shared pages appear on Facebook, an important aspect of her marketing. The Textpattern content management system was used to build the site, which means that Paula can easily add new blog posts herself and keep the other information on the site up to date.